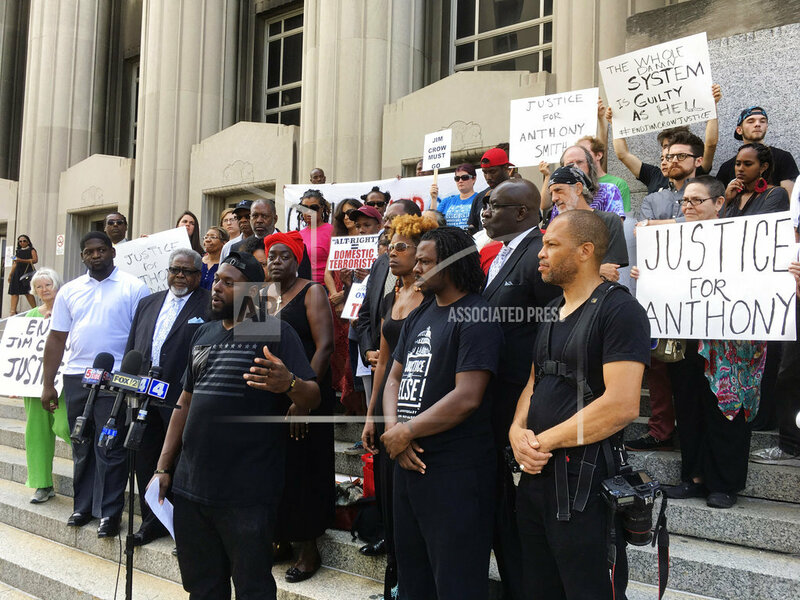 ST. LOUIS (AP) — A group of clergy warned a judge about the potential for unrest if he acquits a former St. Louis police officer in the 2011 killing of a black man following a high-speed chase. About 25 St. Louis clergy members gathered Friday outside the courthouse, where the Rev. Clinton Stancil read their letter to the judge weighing the case against Jason Stockley, the St. Louis Post-Dispatch reported. Stancil said the group doesn’t condone violence, but it believes there will protests if Stockley, 36, isn’t convicted of first-degree murder in the killing of 24-year-old Anthony Lamar Smith. Stockley shot and killed Smith following a high-speed chase. The encounter began when Stockley and his partner tried to corner Smith in a fast-food restaurant parking lot after seeing what appeared to be a drug deal. Stockley testified that he saw what he believed was a gun, and his partner yelled “gun!” as Smith backed into the police SUV twice to get away. At his bench trial, prosecutors alleged that Stockley planted a gun in Smith’s car after he shot him. They said the gun had Stockley’s DNA on it, but not Smith’s. Stockley, who left the police force in 2013 and moved to Houston, denied that he planted the gun. He testified that he saw Smith holding a gun before the chase began, and that he felt he was in imminent danger when he opened fire. Testimony concluded last month, but it’s unclear when Judge Timothy Wilson will rule. There is a history of unrest in the St. Louis area after similar cases, including the sometimes violent protests that erupted after the fatal shooting of 18-year-old Michael Brown in Ferguson in 2014. Brown, who was black, was unarmed when fatally shot by a white police officer. The officer wasn’t charged but later resigned. Mayor Lyda Krewson issued a statement last week calling for calm. Tags: activists, Clergy, Law enforcement, St. Louis. Bookmark the permalink.